The traditional account of Jesus' life and the existence and value of the Holy Grail are both brought into question by The Knights Templar in the New World: How Henry Sinclair Brought the Grail to Acadia. Author William Mann recognizes that for some the romance stories concerning the Holy Grail are nothing more than a quest for physical treasure, while for others they represent a search for inner truth and spiritual awakening. Mann's exploration adds to recent historical theories about the Holy Grail by suggesting that the Scottish Prince Henry Sinclair [an ancestor of Henry John Sinclair, Lord Pentland] and the Knights Templar protected the Grail by transporting it to Nova Scotia in 1398. The Holy Grail that Sinclair brought with him, in Mann’s view, was not a tangible treasure, but more likely a spiritual pursuit and something quite differentliving history related to Christ. Sinclair's journey to in the New World may have included a visit to Oak Island, one of 300 small islands in the Mahone Bay off the east coast of Nova Scotia. It is a peanut-shaped island merely three-quarters of a mile long and 1,000 feet wide which has drawn much attention for the possible treasure lurking deep within it. Since 1795, disappointed treasure hunters have searched a mysterious hole discovered by three boys. The hole turned out to be a shaft some 150 feet deep that was carefully designed to tantalize and frustrate treasure hunters. Millions of dollars spent in excavation have failed to reveal its secrets, apparently due to intentional obstacles built into the pit, including a flooding tunnel that runs into its side. It is not known when the Money Pit was built, nor by whom. 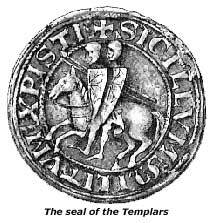 William Mann postulates that it was built by the Knights Templar, not to hide a treasure beneath it but to divert attention away from real treasure hidden by Henry Sinclair elsewhere in Nova Scotia. Mann believes the Knights deliberately set it up as distraction, all the while leaving clues to the real location of the Holy Grail, clues that only the initiated might understand, in order to protect secrets the world was not yet ready to receive. 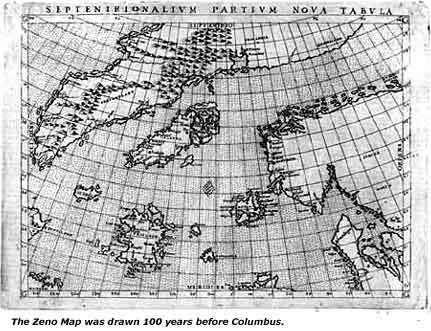 Mann's speculation is that the treasure, whatever its precise nature, is located at Green Oaks on mainland Nova Scotia. The clues that he cultivates and culls together are from wide ranging sources and, as he says, no single clue is definitive. It is the conglomeration of clues from such diverse sources as the Gospel of John and Jason and the Golden Fleece, and the application of sacred geometry to maps of Nova Scotia from diverse time periods, as well as to Nicholas Poussin's 164042 painting, The Shepherds of Arcadia, that bring Mann to his conclusion. He also says that while standing on a summit in Nova Scotia in 1992, he had an intuitive recognition that the landscape in Nova Scotia had been altered. From these clues and more, Mann builds his case. The Zeno Narrative, the ship's log, appears to describe specific aspects of the trip. Although much of the log is missing and the author of the narrative returned to Europe before Sinclair (Zicchmni), Mann finds within the text a basis to conclude that it refers to Sinclair's trip. Other evidence supporting the possibility that Sinclair visited Nova Scotia includes a 14th century stone carving found in Westford, Massachusetts. The carving depicts a knight with a crest and sword of 14th century design, said to be a memorial to a lifelong friend of Sinclair's who died in battle. In addition, the Mi'kmmaq Indians, natives of Nova Scotia, sing legendary songs of a Glooscap who Mann and others conclude could only be Sinclair. The legends describe voyages, achievements and qualities that Mann believes coincide with some of Sinclair's. 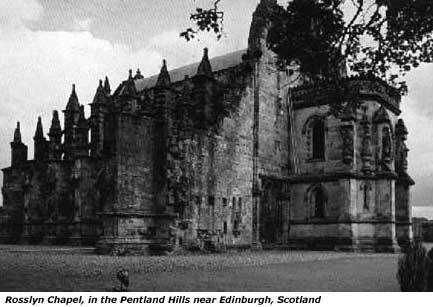 Finally, Rosslyn Chapel, built in Scotland by Henry's grandson some 50 years after the voyage, contains among many of its exquisite carvings plants such as cacti and sweet corn. These plants were otherwise unknown in Europe before Columbus' journey in 1492. Rosslyn Chapel also prominently displays a carving of an "engrailed cross" over the west entrance. Rumors persist to this day that the chapel has the Holy Grail secreted within it.